At Begin With Us, we strive to keep our programs affordable and flexible for working families. We will work with your family to set up a convenient schedule that works best for your child and you at a price you can afford. Please contact us to learn how we may support your family. We provide tuition assistance for families who qualify. Click here for more information on tuition and scholarship information. Nutritious meals and snacks are provided at no additional cost to families. Begin With Us is open Monday through Friday from 6:30 AM to 11:30 PM and offers full-time, part-time, or drop-in scheduling. Begin With Us also offers Before and After School Care for school age children. We look forward to working with you in setting up the best weekly schedule for your family. The following sources of funding for child care, Preschool and Pre-Kindergarten classes, and summer camp are available to Blair County and surrounding County families. Call an Enrollment Specialist for more information and guidance at 814-941-0606. Families may be eligible to receive subsidized payment through the Early Learning Resource Center if they are income eligible. This funding can be used for full days, part days, evening care, wrap-around care, and for school age children for before and/or after the elementary school day and for our summer camp. If you feel that your family may qualify, you should call immediately to apply for funding, as there is usually a waiting list. To view the current income guidelines, click below. 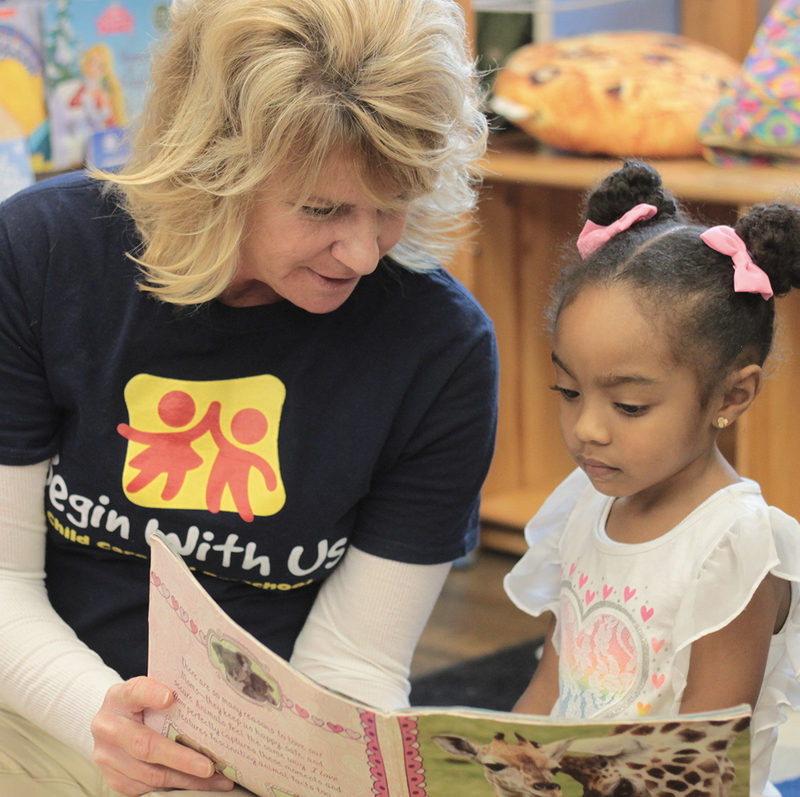 Pre-K Count Scholarships offer a free, high quality program to help children learn the skills that they need to be ready and excited for kindergarten! Children who are living in households that are earning 300% or less of the federal poverty level (such as a family of 4 earning $77,250 per year or less) are encouraged to apply. Please contact an Enrollment Specialist at 814-515-1044 for more information. To view the current income guidelines, click below. Private Scholarships are also available to eligible families. Please discuss these scholarships with us. Children who receive Academic Scholarships may also qualify for funding to extend their day with us. Please contact the Early Learning Resource Center for more funding information. To view a full list of tuition funding resources, please click the button below. For more information about scholarships and tuition assistance, please contact us at 814-941-0606.